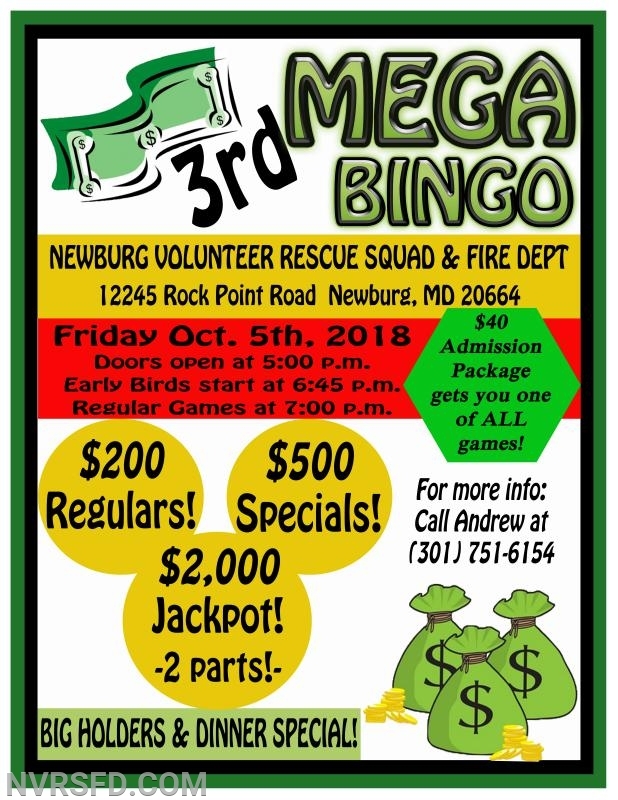 We will have our 3rd annual MEGA Bingo! Historically, this event sells out so be sure to get here early for your seats! $200 Regulars, $500 specials, and a $2,000 Jackpot in 2 Parts! $40 admission pack gets you one of every game to play! After that, individual books for sale at normal price of our Friday bingo! For questions, call Andrew at 301-751-6154! Thanks for your continued support!